The Miami Dolphins take on the Baltimore Ravens on Sunday in AFC action in week eight. Miami was able to come back from a 28-14 fourth-quarter deficit and the loss to starting QB Jay Cutler and score three times in the last quarter to salvage a win over the Jets, 31-28, and get to 4-2. They now take to the road against the Ravens, who lost for the fourth time in five games with a 24-16 loss to the Vikings. It wasn't even that close, with Baltimore adding a garbage-touchdown as time ran out. After a promising 2-0 start, the Ravens are in bad need of a positive development with not a lot of things going right lately on either side of the ball. Miami is a strange study this season. With their first game postponed, they were forced to take to the road for an extended period, as their win over the Jets only their second game at Hard Rock Stadium. They have now won three straight and have somewhat quietly gotten to 4-2 with hardly anyone pointing to them as a legit contender. But taking the way they finished the season last year and their form the last several weeks, Miami stands out as an interesting team. And even if Cutler misses time, Matt Moore is more than capable of filling in, as he showed with his two-touchdown performance on Sunday. Miami is one of those teams where it's hard to explain how they've won 14 of their last 18 regular season games, but those are teams that can be really dangerous. Both Cutler and Moore threw a pair of touchdowns on Sunday. Kenny Stills caught two of them, with Jarvis Landry and TE Anthony Fasano catching the others. Jay Ajayi wasn't that good on the day, rushing for just 51 yards on 23 carries. Another tight end, Julius Thomas, also showed good signs with a few big catches. This offense has been adept at overcoming adversity this season. After overcoming a big Atlanta lead last week to get a win, they did it again on Sunday. Interestingly, the Dolphins have won 12 straight games decided by 7 or fewer points, two games short of an NFL record. At the end of the day, the Dolphins defense was able to make enough plays to turn things in their favor. One key moment was on the Jets' last drive, when Bobby McCain got a big pick to seal it. Pass-rusher Cameron Wake, 35, is still getting after quarterbacks with gusto and had 2.5 sacks on Sunday. Kiko Alonso was active and the second level has gotten a big boost since LB Lawrence Timmons joined the fray. DT Ndamukong Suh has helped make the 'Fins one of the best defenses against the run. Baltimore is really struggling now and it's unclear how things are going to get better. They looked so good in their first two games, holding opponents to a combined ten points. Since then, their only win was over a Raiders team that was without Derek Carr. And all of those losses were by fairly-conclusive margins. Against the Vikings, they were hanging in there in a battle of field goals. But Minnesota took over in the second half, with the only time Baltimore got in the end zone being when matters were already decided. And with a receiver crew already stripped bare and with injuries, they saw Mike Wallace go down with a concussion. It's hard to tell if Joe Flacco has lost his edge, if the lack of playmakers around him has hurt, or if it's a little bit of both. But they're trying to make it work with Alex Collins and Javorious Allen in the backfield, with a receiver crew filled with guys that would struggle to even get on the field on most offenses. The line has suffered, both when it comes to opening holes and in protecting Flacco from the pass-rush. Flacco has struggled to get this offense on the right track and has not topped 235 yards passing in any game this season. It's been a disheartening situation on this side of the ball more often than not this season. The Baltimore defense has been a real letdown the past handful of weeks. They are horrible against the run, with even fill-ins going over 100 yards against this group lately. And after how good they looked to start the season, the fact that they have eroded into a bottom-half unit is extra-disconcerting. They didn't get to Case Keenum once on Sunday and with the personnel they have, that is not good. With Brandon Carr, Jimmy Smith, Eric Weddle, and Tony Jefferson, the secondary is one of the better ones in the conference, but not good enough to make up for the holes in the front seven. Last season, Miami saw a 6-game win streak broken in a 38-6 loss to the Ravens. A lot has changed since that game and such an outcome this week is hard to envision. Miami is getting the most out of what they have, while responding well to the different adversity they have faced this season. Baltimore, conversely, is underachieving and hasn't been resolute this season to any degree. I'm taking the road dogs here. 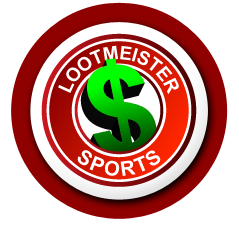 Loot's Prediction to Cover the Point Spread: I'm betting on the Miami Dolphins plus 3 points Tired of your credit card not working for sportsbook deposit? End that problem today and bet the Miami vs. Baltimore game by signing up at Bovada Sportsbook where your credit card WILL work and where you'll receive a generous 50% sign-up bonus!